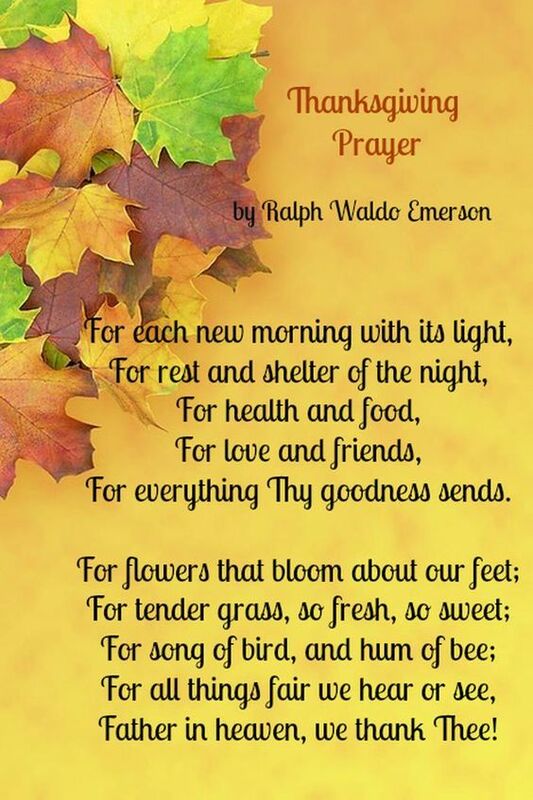 Thanksgiving prayers can be used year round. 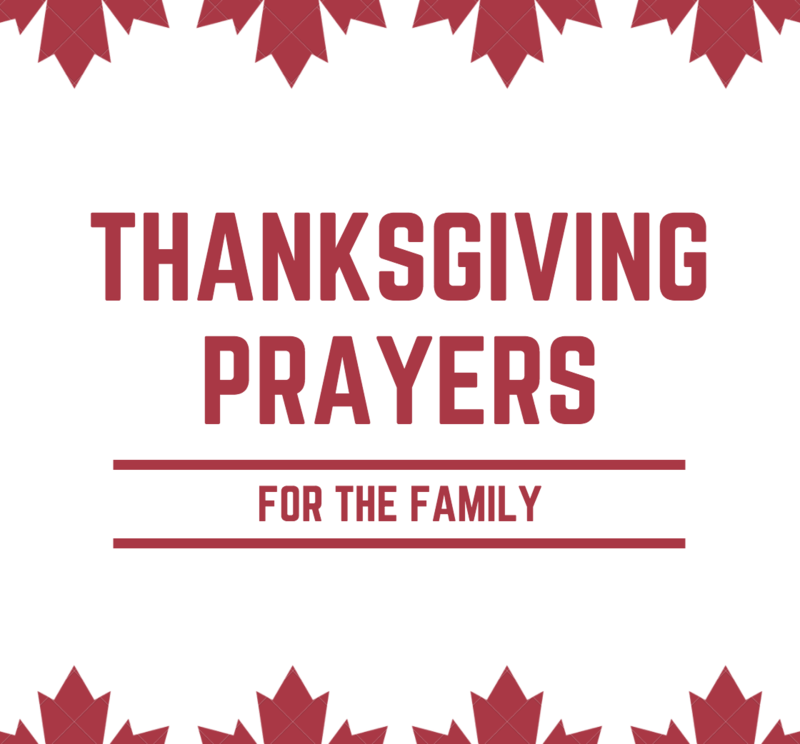 Use this list as a guide to help your family lead grace before their meal together. 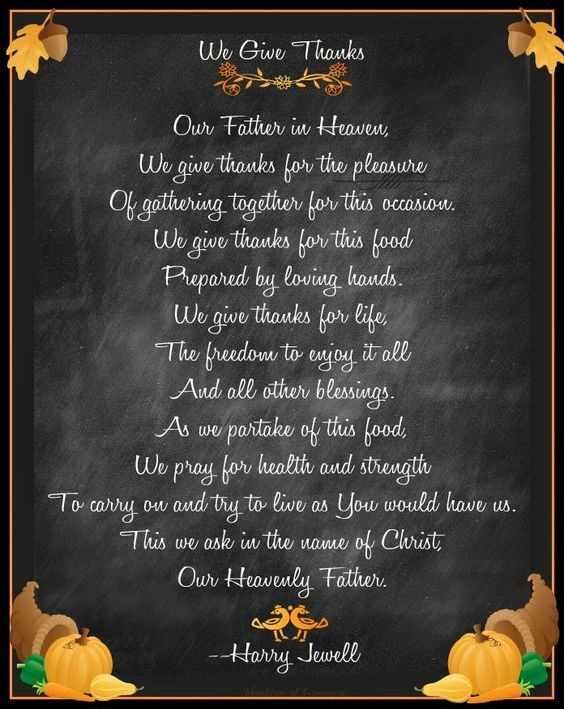 This Thanksgiving, consider the following prayers to help open up your meal with family and friends. 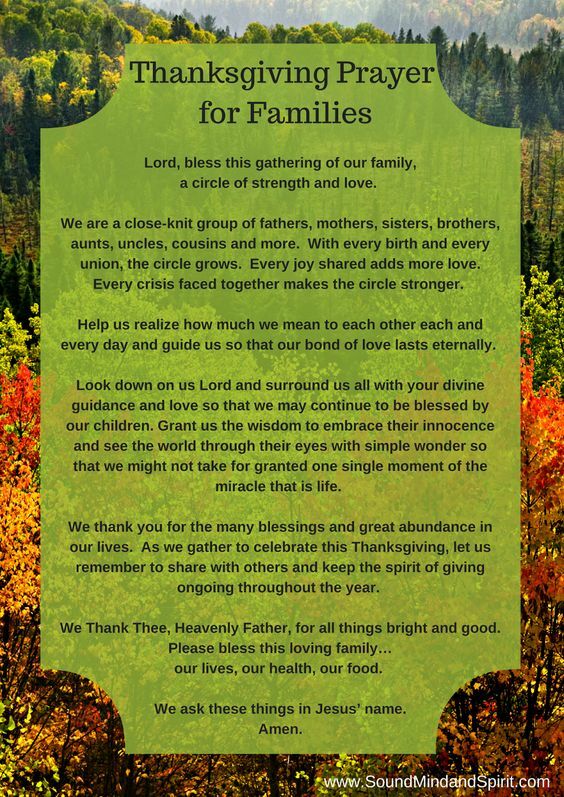 Thanksgiving prayers can sound like pretty much anything you want, of course! 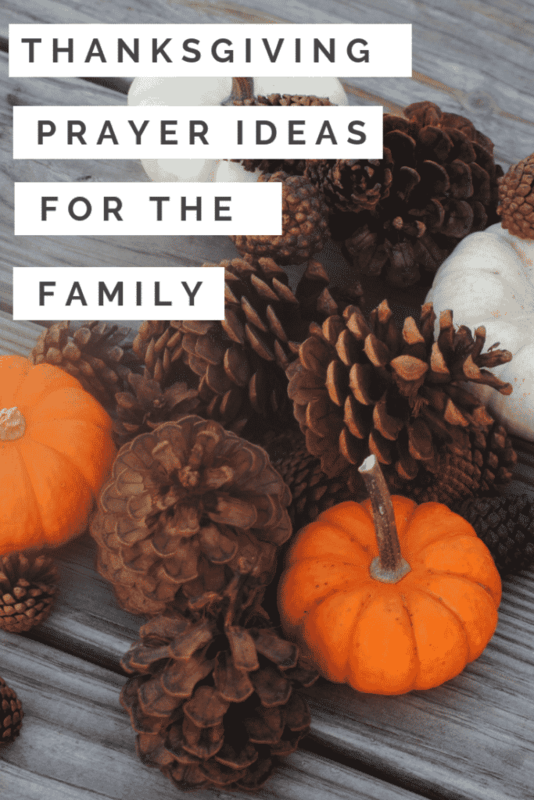 However, if you are looking for some guidance, I wanted to share with you a few ideas for the family that I found online that I thought were simply beautiful. They each have their own sound that you could repeat verbatim or change as needed. Church has become such a priority for my family since 2017. That wasn’t always the way. 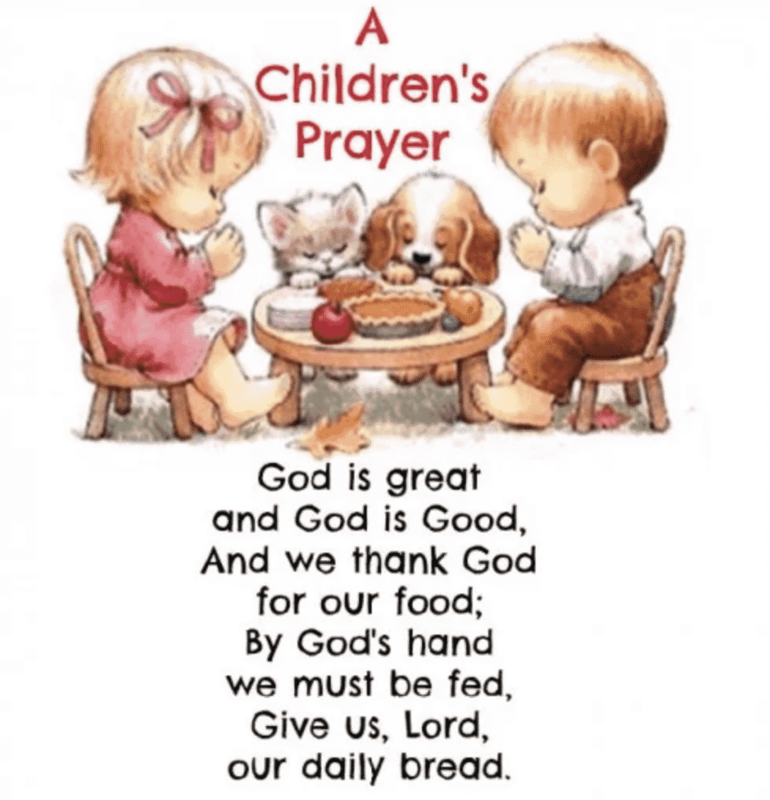 It took us a while to get back into the groove, but now I am happy to say that the children have developed such a personal relationship with the Lord. 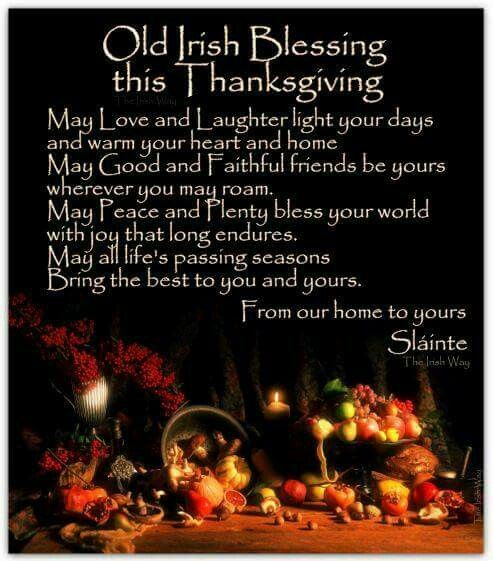 We couldn’t ask for anything more. When my husband and I got married, we honeymooned in Hawaii. When the weekend rolled around, Bill did a little research and found a local church mass to attend on our first Sunday together as husband and wife. I didn’t join him if I am being honest with you because I was so upset that he wouldn’t give up his tradition while we were trying to make new ones of our own. Many years later, I look at his commitment to God as one of the many reasons why I love him so much. I recognize today that I was young and selfish at 24. But I also look back on that memory fondly – and not with bitter taste. It took me some time, but I have come around full swing. My relationship with the church has been tumultuous, to say the least. In High School, I experienced something that I will never forget and it truly turned me off from the “establishment.” Only through children and through my marriage have I found my way back to the Lord. I’ve always maintained a relationship with Him, but I never participated in masses or gatherings because I believed the institution as a whole had let me down. I felt that I didn’t need someONE or someTHING to help me better my relationship with God. I just needed to have it on my own. 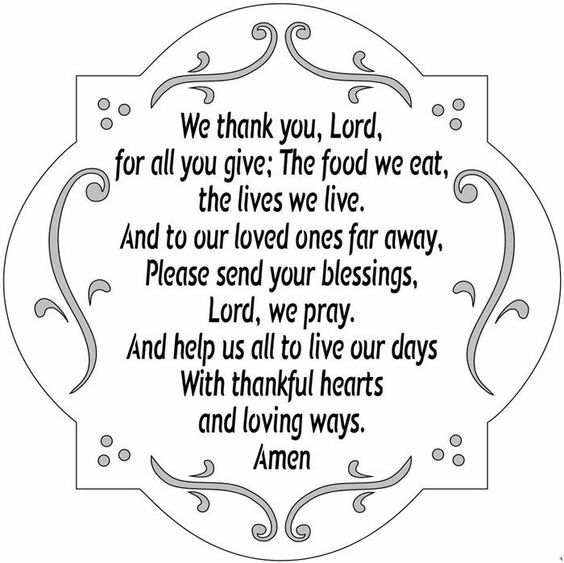 So, I sort of shunned the whole concept and moved on with my life – despite an entire history of Catholic education under my belt. 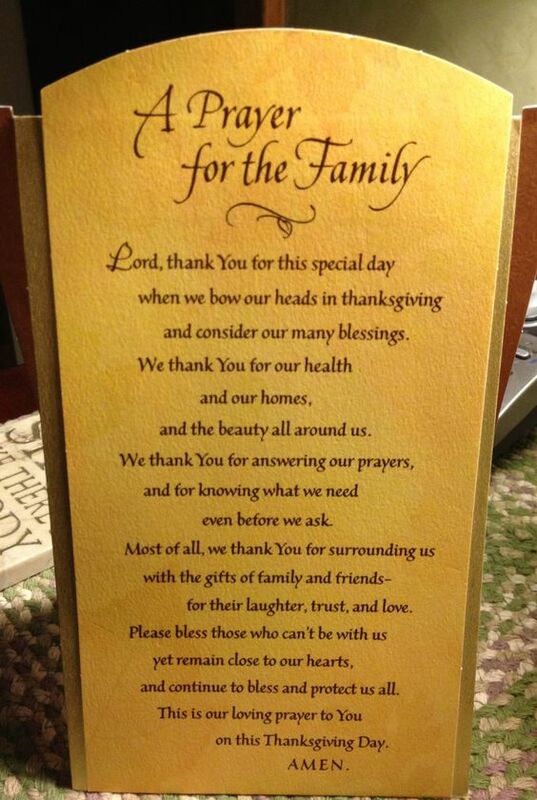 This Thanksgiving, we wanted to have a Thanksgiving prayer for the family that summed up all of our thanks. 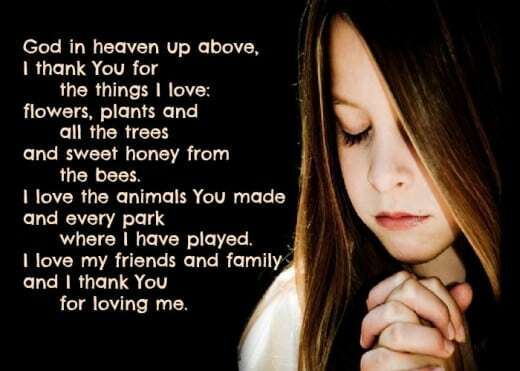 In case you were in the market for some ideas, I’ve attached a few prayers that I’ve come across online for your review. I know sometimes we struggle to come up with the right words. If you find yourself in that same boat, here are a few tips for you. 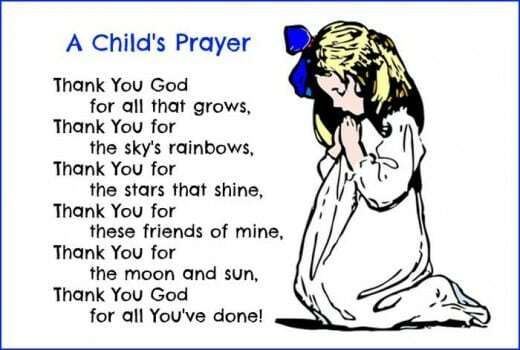 I’m going to split up these prayers into different sections – some that your children can say, others that need to be led by an adult, and a few that you should read alone. But I want to show you a few different options. 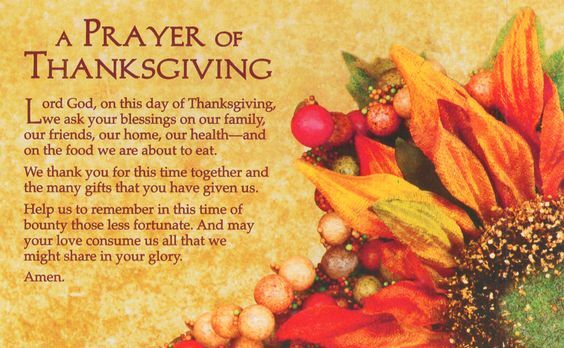 What prayers do you have in mind for the upcoming holiday? Who usually starts off the festivities? Do you have a specific family member that holds the title? Is it the eldest? The youngest? Would love to hear.